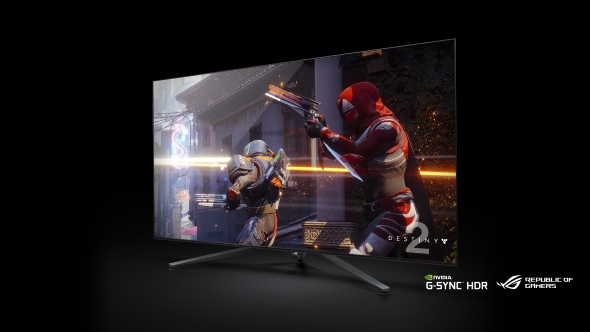 Nvidia announced a whole new category of enormous gaming monitors at CES this year, and Asus could well be the first to offer an overclocked version of the Nvidia BFGD’s 65-inch, 120Hz G-Sync HDR panel. Want to know what the best gaming monitors are right now? Check out our pick of the top screens. 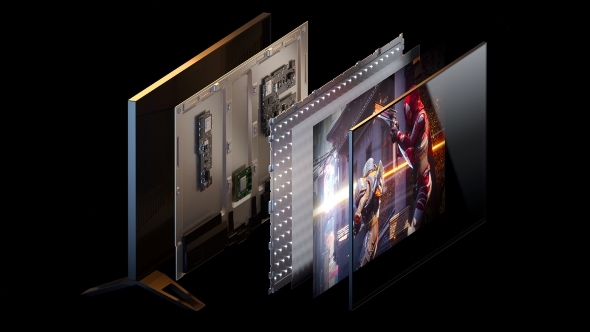 We had the opportunity to get hands-on with the new Big Format Gaming Displays in a behind-closed-doors session with Nvidia at the Las Vegas show. They’re incredibly striking, vast screens, with bright colours and silky smooth movement – so long as you’ve got a machine capable of running a 4K resolution at decent frame rates, that is. Unfortunately the current prototype screens have a bit of an odd halo effect, but we’re assured the demo devices were just running pre-production versions of the panels. We’re hoping those visual kinks will be ironed out by the time the final versions of the massive monitrons arrive in the summer. But when they do arrive in the summer it’s all too possible the Asus ROG Swift PG65 will arrive with some slightly different specs to the current numbers being thrown around for the Acer and HP BFGDs. Nvidia’s director of technical marketing, Sean Cleveland, told us that they’re all using exactly the same panel, but that each manufacturer will be able to put their own stamp on the original Nvidia design. He also goes on to say that Asus, with their ROG sensibilities, are most likely to be the ones to add the most to their PG65 BFGD. The original spec for the BFGD is that it sports a 120Hz VA panel, so if Asus do want to get busy waving their overclocking sticks over the AU Optronics panel we might end up with the ROG display hitting a silken 144Hz refresh rate. Tasty. Pricey, though, I expect too.